I partnered with American Standard during our bathroom renovation, but we purchased our bathtub before, so all opinions are my own and this is my unbiased review. Looking for a bathtub for your remodel? The best spaces are those that check off more than one box of needs and wants. 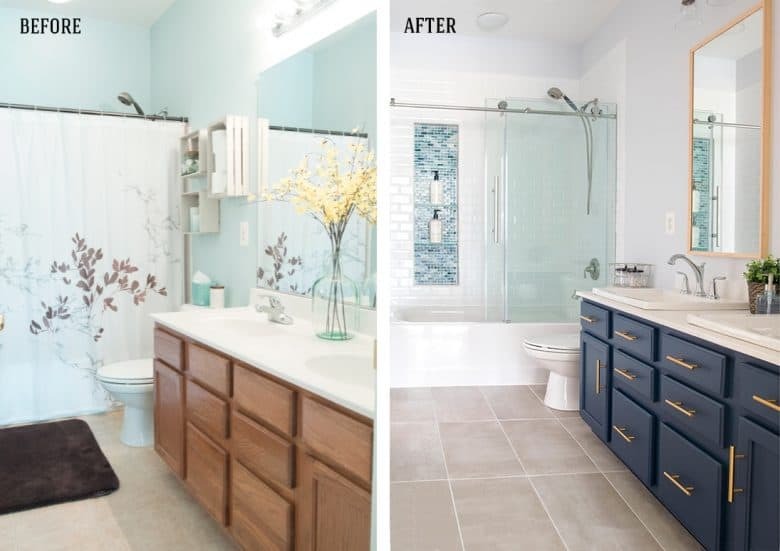 In our bathroom renovation, every thing not only had to function well in the space but had to fit the needs and wants of a kid’s bathroom, a guest bathroom, and a relaxation spa area for mom when she needs some “me” time. That’s a lot of boxes to check off, and our search for the right bathtub to fit all of those needs was extensive. Prior to the renovation, we had a builder grade acrylic tub that had not been previously cared for well. They had used abrasive cleaners and no amount of elbow grease could get the stains out. That alone was enough to drive me crazy as it was our guest bathroom. It was embarrassing . Additionally, it flexed a lot and did not retain heat well. When looking for a new alcove replacement tub, I looked for a bathtub that would look beautiful for years to come yet stay within my budget. As I researched, I honestly found that choosing the new bathtub was probably the single hardest decision of our entire bathroom renovation. In reading all the various online reviews, every tub from the most luxurious brand to the cheapest plastic shell had great reviews peppered with a few horror stories (cracking, peeling, etc). It would scare any novice into indecision. So, today I would like to take you through the factors we looked at, and why we chose the American Standard tub. As stated earlier, our acrylic shell was scratched and pitted so that stains would never come truly clean. Therefore, at the top of our list of needs for this bathtub was how easy it was to clean and the durability of the surface against scratching. 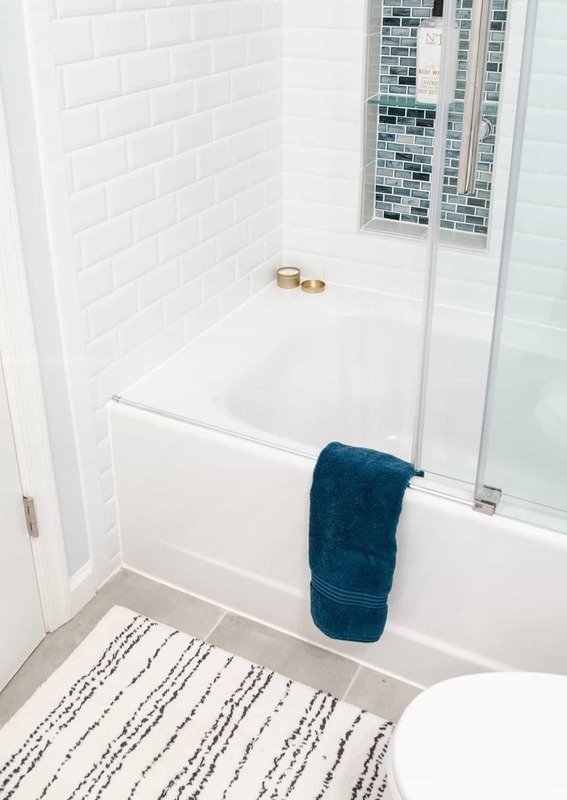 Many bathtubs today have a slip resistant bottom and you should check with the manufacturer about how well the bottom surface in particular cleans. Abrasive cleaners should generally be avoided in all tubs, because it can cause pitting and scratching in the surface which will make it easier to stain/harder to clean in the long run. Bathtub materials vary greatly in weight, with a cast iron tub often coming in at 300lbs or more even before filling with water. This extra load can be a challenge structuarly on bathrooms on second stories or unreinforced floors. Even if the floor could support it well, trying to get it up the stairs would be a problem. On the other end of the specturm is plastic and acrylic and fiberglass tubs which are lightweight and easy to maneuver. Fiberglass or fiberglass-reinforced plastic are the least durable and prone to scratching and cracking. While a crack can be repaired, resurfacing an entire tub is not very economical. Acrylic tubs also present similar levels of durability and scratch resistance to a fiberglass tub. Porcelain Over Steel is a more durable option, depending on the thickness of the porcelain coating. Porcelain enamel can chip but the tub can be repaired in place. It is much more impact and scratch resistant than a fiberglass or acrylic tub. The steel is usually a thin sheet and can flex, so that is something to watch for. Cast iron with a thick coated enamel – Definitely the most durable of the basic tub materials because cast iron tubs tend to be thick and the most resistant to cracking. If you have ever stood in a cheap fiberglass tub from the 80s, you know the feeling of flexing. Over time this can weaken a tub. Of course, cast iron tubs are heavier and has less, if any, flexing. However, you can stop the bottom flexing when you get in with a proper mortar setting under the bottom. Check with your installer and the manufacturer about using a mortar setting. Like it or not, price is always going to be a factor. However, I have found that for the most part, you get what you pay for with bathtubs. Improved materials and proper installation are really the keys to a long lasting bathtub that will pay for itself with longetivity. After taking in all of our considerations, we chose the American Standard Cambridge Alcove Bathtub. Americast is an exclusive, patented material used in American Standard bathtubs. It is American Standard’s unique patented process that fully bonds a high quality porcelain surface with an enameling grade steel and a molded reinforcement composite backing. It is almost like getting all of the benefits of a cast iron tub (heat retention, durability) with the benefits of a lighter weight tub. If interested, you can learn more about the benefits of these bathtubs here. 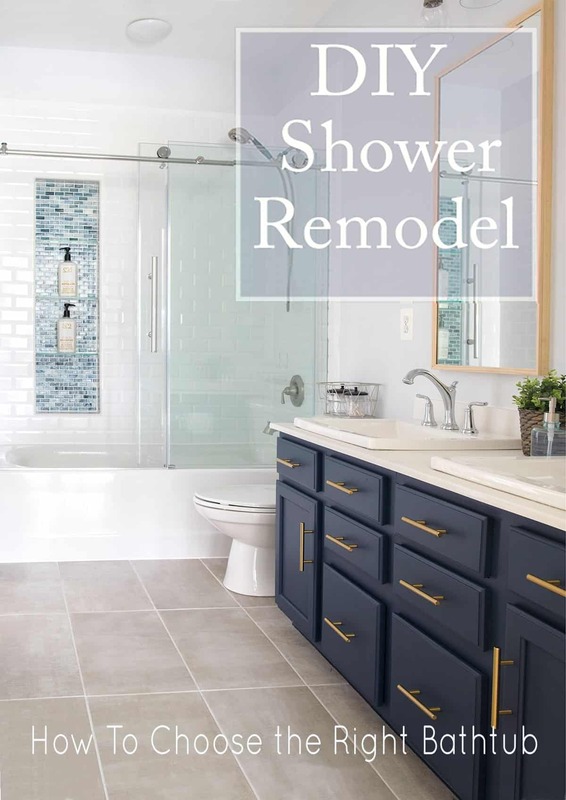 That pretty much wraps up our bathroom renovation, but I am sure you may have some questions if you ever try to do a full bathroom remodel on your own. Or did I just out your day dreams, haha? Feel free to ask away in the comments below or on our Facebook page! The durability of the bathtub is the most important thing to look at, by my opinion. Porcelain over steel is my preferred choice too, because these things can last for years, and even if you scratch or chip the porcelain, fixing it is not so complicated. I also love the bathtub divider glass, it’s way more classy than using curtains. When we did our bathroom renovation a couple of years ago, the glass barrier was one of the first things I bought. It was even more important than the bathtub itself.